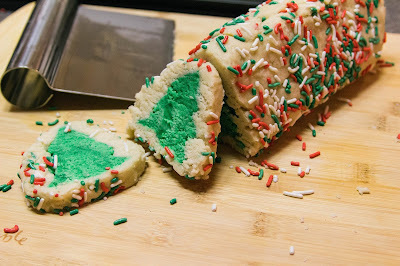 So I made sugar cookies two ways this year. 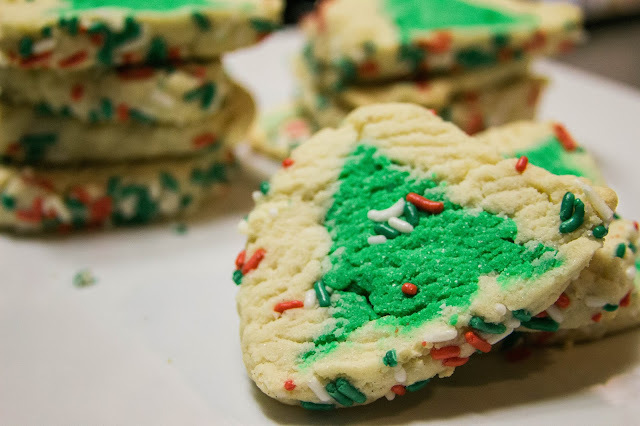 The first sugar cookies were the standard sugar cookies with royal icing and the second were sugar cookies with green trees baked in the middle. 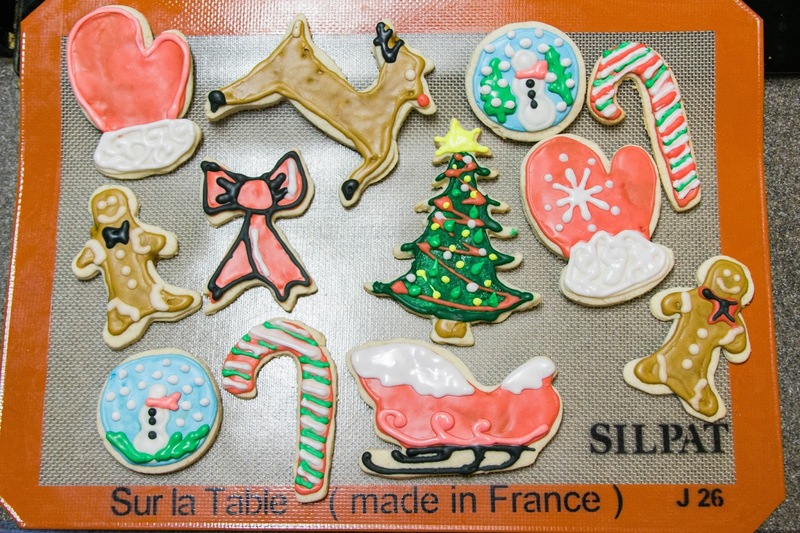 But the sugar cookie base is a great place to start and you can frost them or just make fun cookies! Cream butter and sugar together using mixer. After well blended add applesauce and vanilla and continue to mix. Slowly add flour about 1 cup at a time along with salt and blend well. Divide the dough into disks, wrap each disk in plastic wrap and refrigerate for at least one hour. Pre heat oven to 350 degrees and bake for about 10-12 minutes. 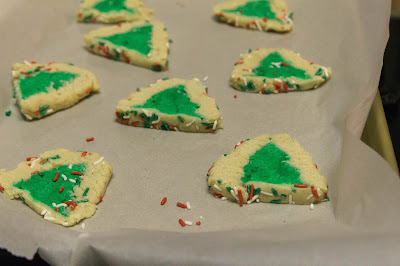 (If using cookie cutters, cut out each cookie and place on baking sheet with parchment paper and let sit in refrigerator for a few minutes to help cookies hold their shape, especially if your kitchen gets super hot with the oven on!) Let cookies cool on wire racks and make sure they are completely cool before frosting them. Whisk chickpea juice using whisk on mixer. Mix for a few minutes, or until chickpea juice is bubbly and frothy on top. Slowly add in confectioner's sugar and vanilla and whisk until desired consistency is met. Adding more sugar for firmness and maybe adding some dairy free milk to make icing more runny. Follow the steps for the sugar cookie recipe, until refrigeration. Once dough is all mixed together, separate at least 1/4 of the dough and mix or work in green gel food coloring into dough mixture for trees. Let covered dough rest in refrigerator for at least one hour. Use green dough and begin to roll out and cut out desired shape (try using small cookie cutters). Once dough is all cut out. 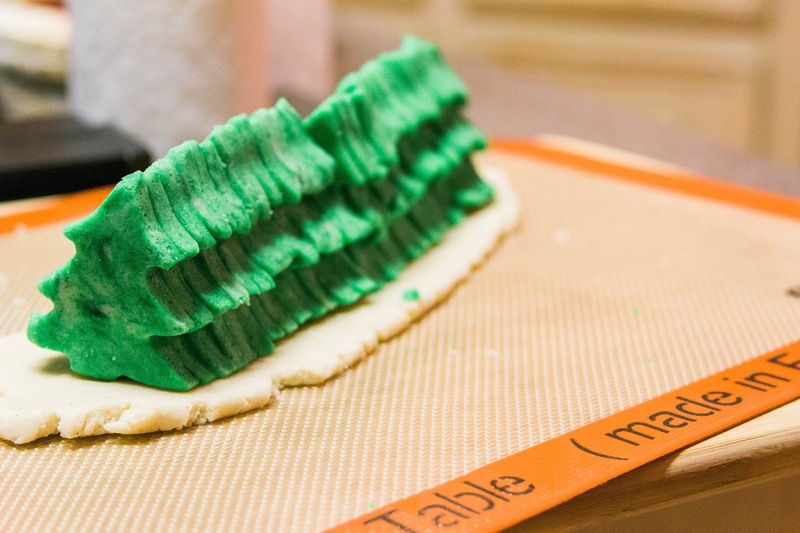 Start to roll out regular dough and place a section down for a base and place trees down firmly, be sure they are all lined up! 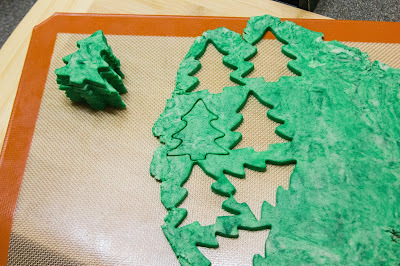 Slowly continue to roll out regular dough into sections to cover all of the tree areas. 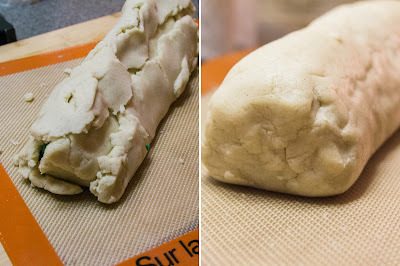 Once all areas are covered roll the dough so all seams are together and the dough is nice and round. I added sprinkles on the outside, so I placed my sprinkles on a plate and just rolled the dough around until the dough was covered in sprinkles. 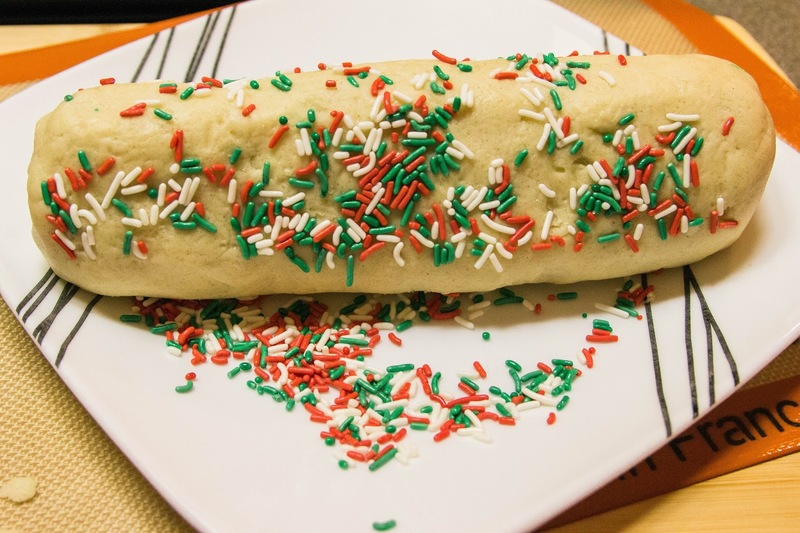 Using a sharp knife or pastry cutter, cut the dough into the size of cookies that you want and place them on a parchment covered baking sheet. Bake about 12 minutes or more depending on the thickness of your cookies. Let them cool completely on cooling racks. 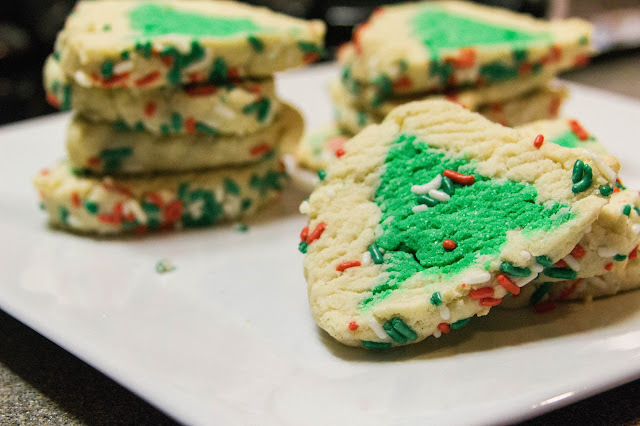 Now you have your very own, homemade Christmas Tree cookies!